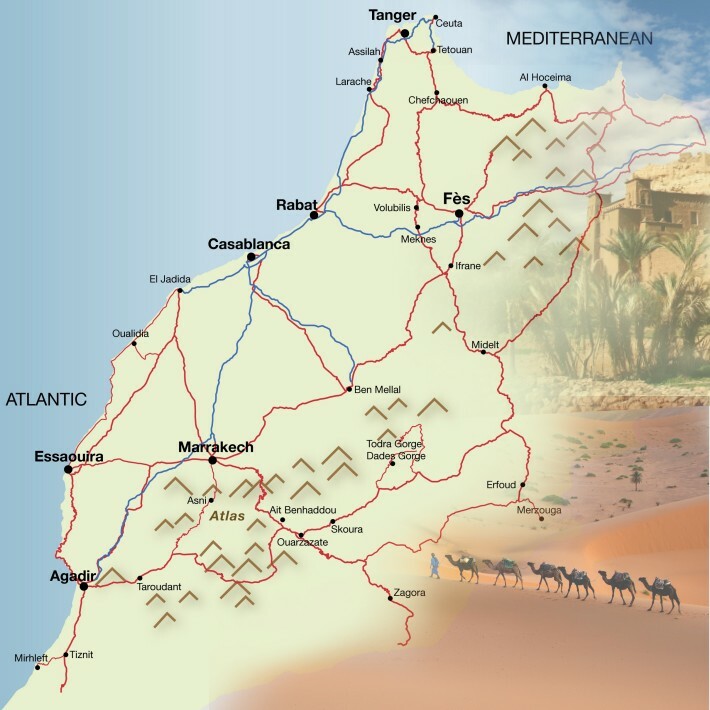 Riad Jaouhara Client Comments, Reviews and Testimonials. 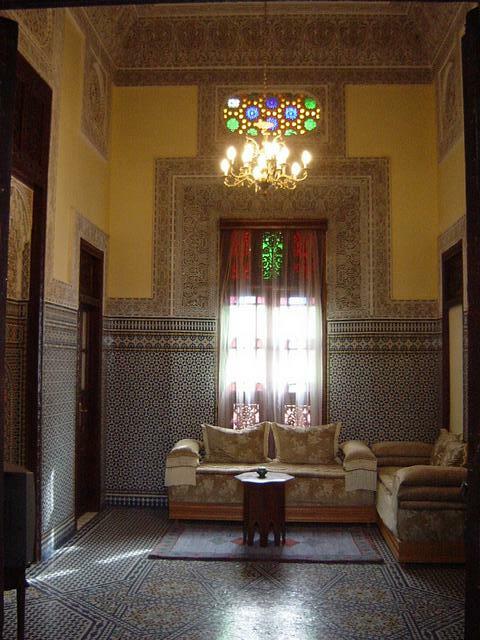 Book Riad Jaouhara Today with Hip Morocco - Holiday Accommodation in Fez, Morocco. 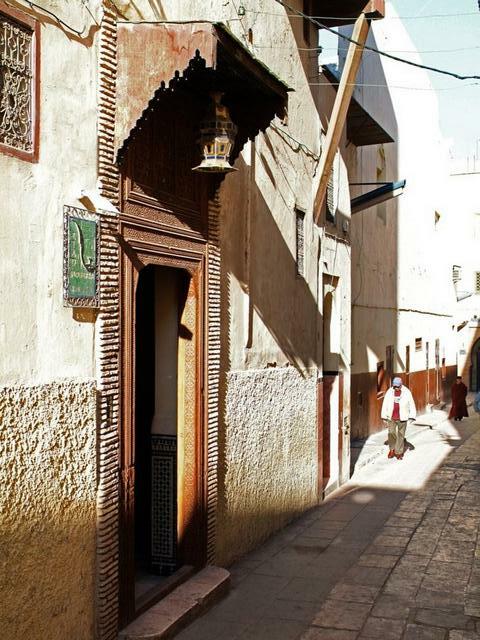 "A place where time ceases"
The Jaouhara Riad is a place where time ceases. 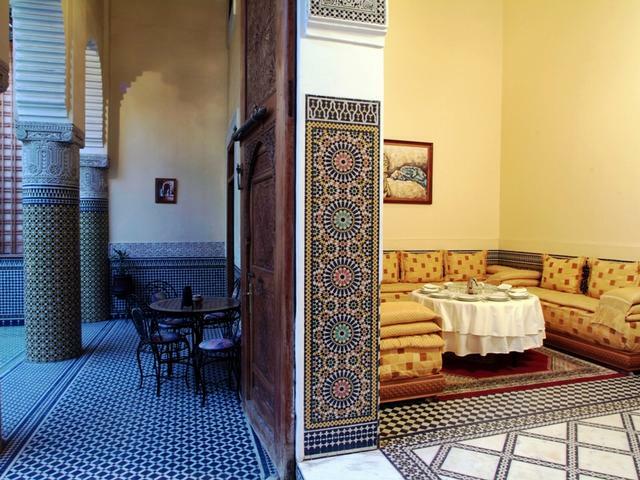 The Riad was built about 100 years ago by a well known family of Fez, the Jouahri family. 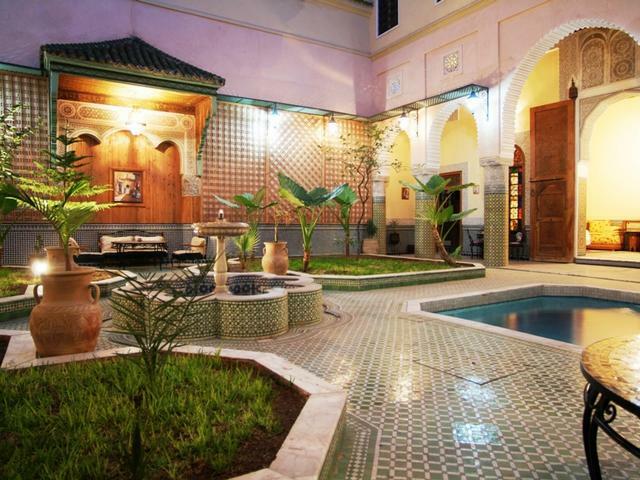 Situated near the Batha, the Riad is ideally placed near the entrance to the Medina and is easily accessible by car. 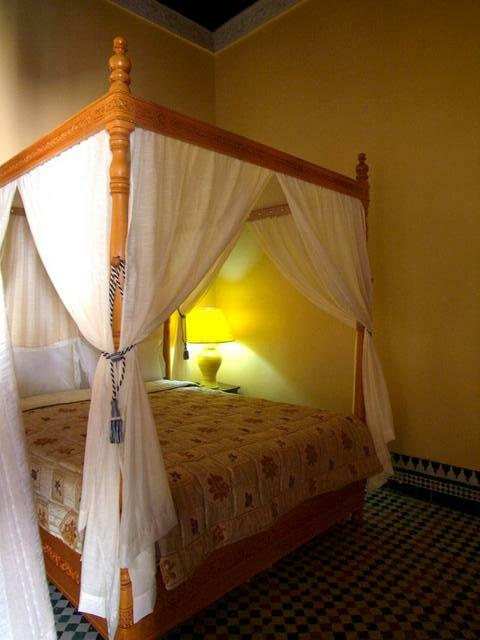 The Riad has six spacious suites and a cosy room, a pool and offers fine Moroccan cuisine. 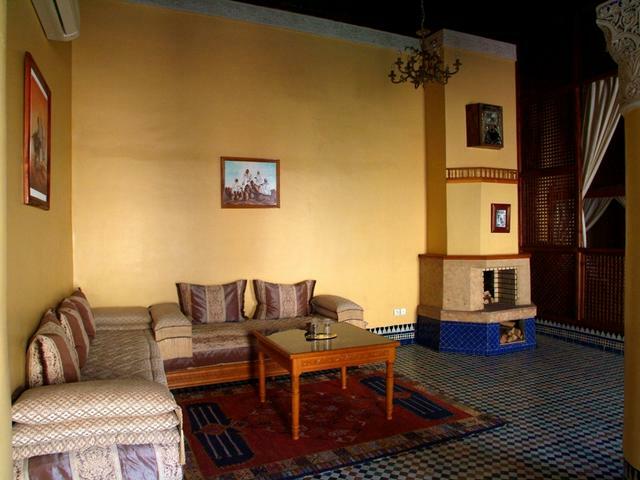 This beautiful Suite with traditional decoration comes with an ensuite bathroom and seating area with television, it is equipped with air-conditioning/heating. 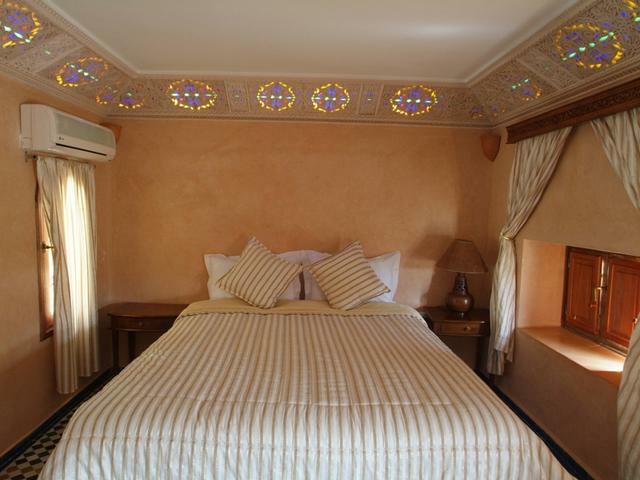 This beautiful Suite with traditional decoration comes with an ensuite bathroom and separate sitting room with television. 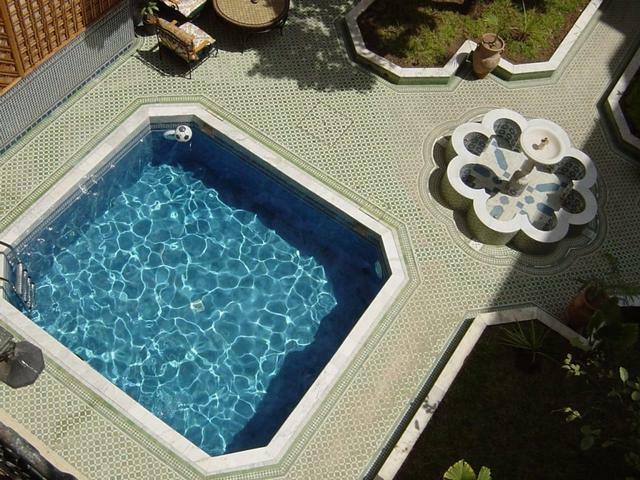 It is equipped with air-conditioning/heating. Additional beds are available for 1 or 2 children. 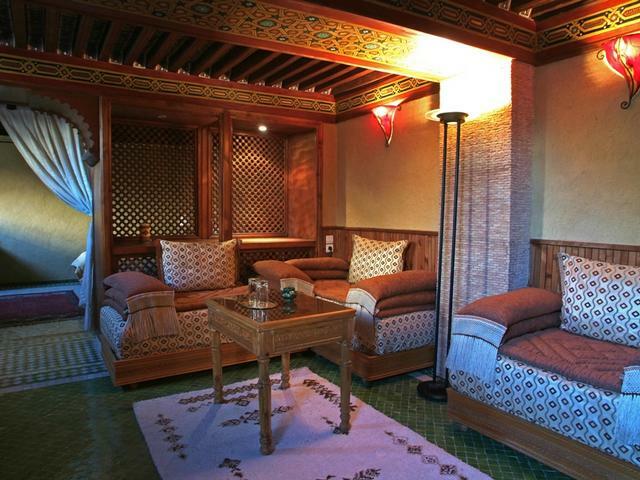 This beautiful twin Suite with traditional decoration comes with an ensuite bathroom and sitting room with fireplace and television. 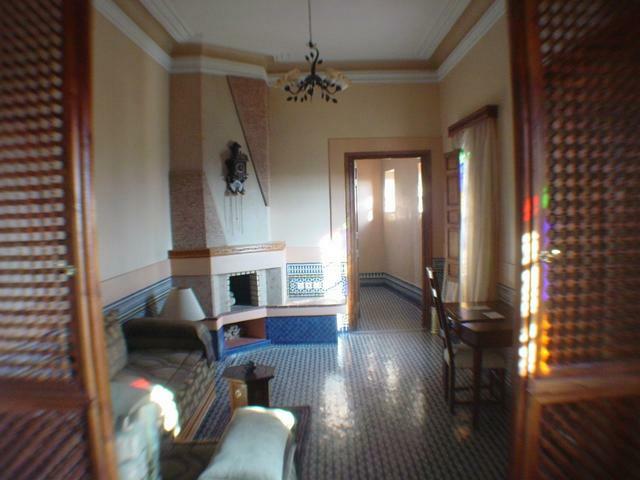 It is equipped with air-conditioning/heating. An additional bed is available for 1 child. 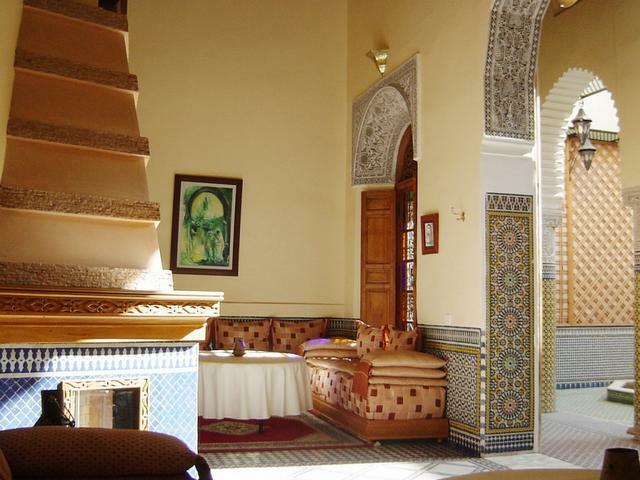 This beautiful Suite with traditional decoration overlooking the inner courtyard garden has a mezzanine bedroom and comes with an ensuite bathroom and sitting room with fireplace and television. It is equipped with air-conditioning/heating. 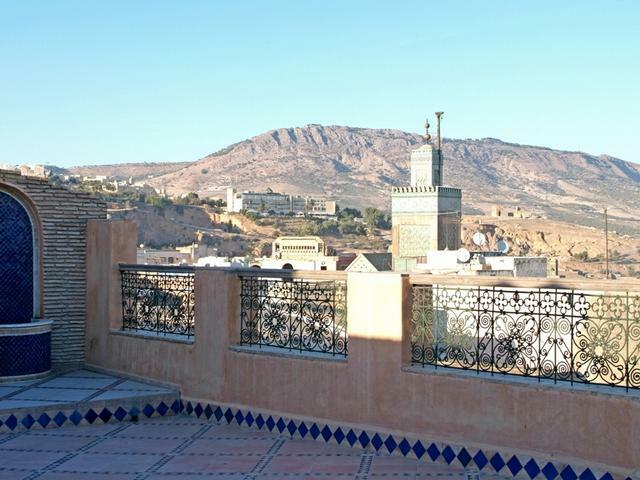 This beautiful Suite with traditional decoration overlooking the inner courtyard comes with an ensuite bathroom and sitting room with fireplace and television. 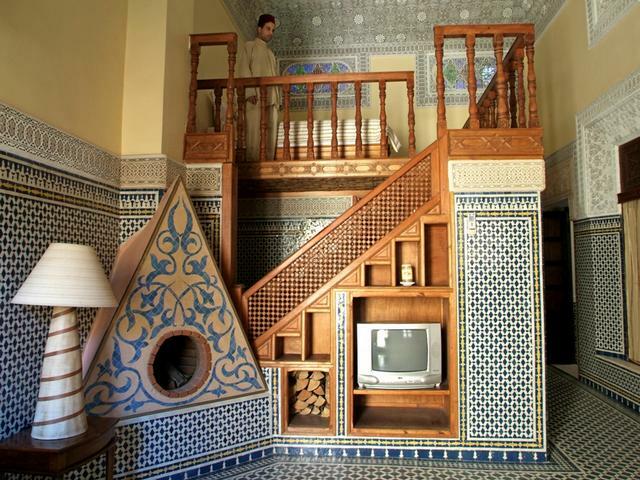 It is equipped with air-conditioning/heating. 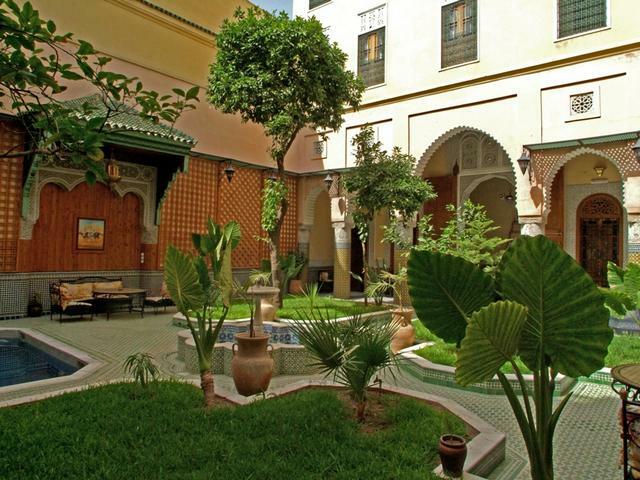 This spacious beautiful Suite with traditional decoration overlooking the inner courtyard garden comes with an ensuite bathroom, jacuzzi and sitting room with fireplace and television. It is equipped with air-conditioning/heating. 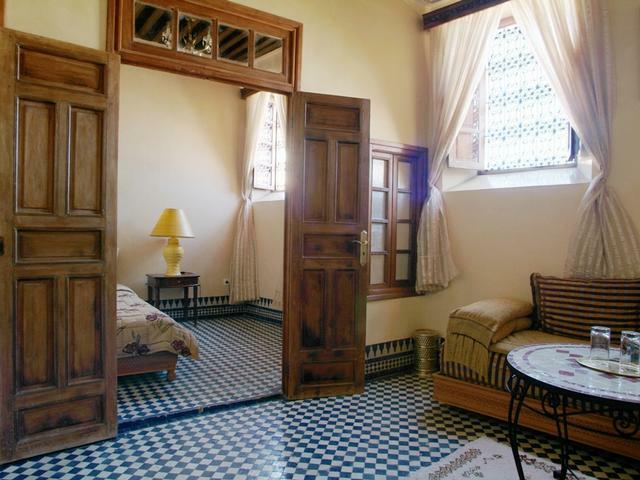 This beautifully furnished cosy room overlooking the inner courtyard comes with an ensuite bathroom. 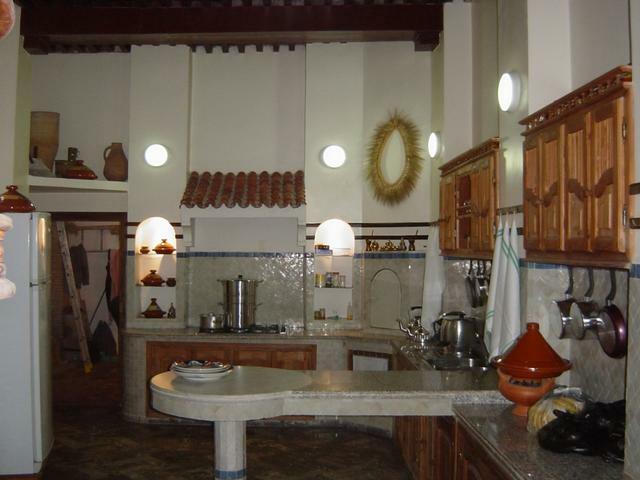 It is equipped with a television, air-conditioning/heating. 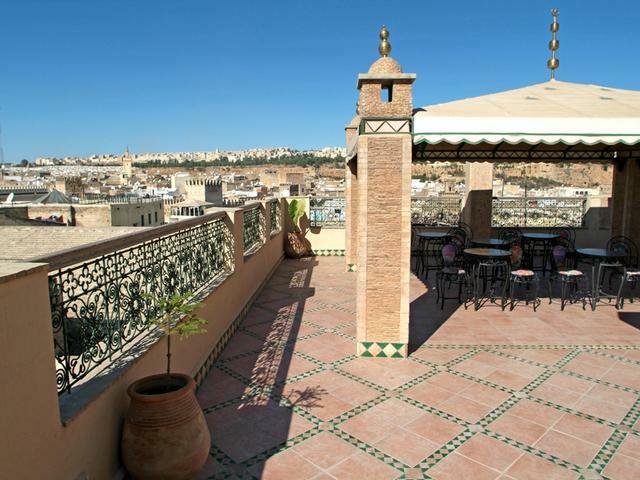 The base rate price at Riad Jaouhara is in pounds, euros, or Moroccan dirhams and exchange rates are approximate.